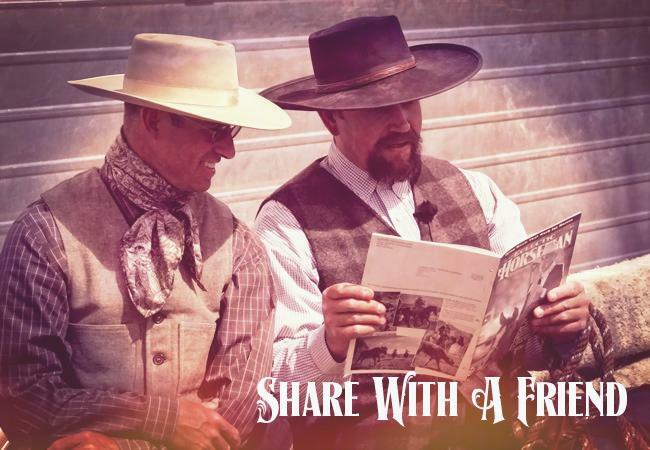 I love this magazine – it is completely different than any other horse magazine. The information is thoughtful and insightful. I have learned a great deal from this and the Horseman’s Gazette. Keep up the great work! I really enjoy reading Eclectic Horseman. I have mules and your articles have helped me quite a little bit when I have run into problems with them. The more I learn the better they get. Thanks for putting out a great magazine. The Eclectic Horseman is a need for the true horseman. You won’t find information like this at your local newsstand. The EH magazine, the Gazette, and this website can give you the tools you need to succeed in this equine world. LOVE IT. And did I mention the amazing customer service??? I bought a three year subscription. Article by Deb Bennett; Bogus Ideas In Horsemanship No. 2; is the best equine article I’ve read in decades! Made the subscription worth every penny and then some. The best horse magazine I have ever read! Just wanted to let you know I’ve received my second issue of Eclectic Horseman and I’m blown away with the quality of great information packed between the pages! No junk, no nonsense, nothing but top quality information from people who know what they’re talking about. I’m just so impressed I wanted to let you know I’ve garnered so much from both issues. Thanks and congratulations on a job so well done with your magazine. Wish I’d know about you long ago but now that I do you can bet I’ll be hanging on every page. You have found a way to motivate all horse people, no matter what discipline, to work with their horses and develop both in a way that just works! Souls connecting and personal approaches, not just trying to copy a “celebrity” but find a way that stimulates communication between horse and human. The horse knows none better than you, often better than one knowns themself. Keep it up, we are riding their right with you!! I just want to say thank you for your online articles. I am a new horse owner. I am currently boarding my new addition where I purchased her. I am trying to learn anything and everything I can before I take her to her new home. Although I am told I will not be able to learn everything I am sure trying. I am however terrified. I do not want to do anthing to put her in harms way. As an article of yours says being a new horse owner is like being a new mom. At any rate the articles I found here have answered a lot of questions and I truly appriciate it. I took a chance and started subscribing to your magazine shortly after I started my own horse training business. I must say I am SO glad I did! Your magazine is well laid-out, your articles are helpful and easy to read, and the overall ‘feel’ of your magazine is more natural and less ‘hype’ than other horse publications. You address fundamental training and still dig deeper into more complex topics with simple, no-nonsense articles and fabulous photography. Each issue that I have received so far has contained an article that has directly addressed the common training and riding principles that I am currently teaching my clients and their horses. How nice that you continue to provide such attractive and easy-to-understand ‘visual aids’ for my program! I recommend your magazine to all of my clients. Thank you for your wonderful publication and keep up the good work. First, God I love this magazine. I just do. I mean, it always has articles I want to read. Maybe not all of them, but there’s always something and it’s always worth reading. I learn from this magazine. I’m not preached to, sold to, or amused (unless intentional of course). Not scolded, laughed at, pummeled with advertising or ignored. It’s not western, not English and not stupid. That, to me, is a magazine worth reading. Your faults? Not enough (of EH). I need this magazine longer and I need it more often. There’s so much for me to learn and I like the way you teach. I love you guys! Thanks for making it so easy for those of us who follow this way to find amazing resources to continue our education!!! Before I got the Eclectic I was doing a lot wrong with my horses and you got me into the Buck Brannaman clinics and I just went to a Jon Ensign (Belgrade MT) clinic and what a change in my horses – so light and soft – amazing to me and so easy to do and my horses love it..when I’m working with them using the gentle soft touches..thanks!! When I picked up my first issue of The Trail Less Traveled at a clinic in 1997, I felt an overwhelming relief that there were like- minded folks out there, and wonderful clinicians and professionals willing to share their knowledge. I became a devotee! I felt pretty alone in S. Florida, working with “buckaroo-type” equipment, and was so happy to find a “Resource for the Natural Horseman.” I have issues dating back to 1997- Vol. 3. I’ve stuck with you through your metamorphosis into Eclectic Horseman, and you just get better and better. I love the webpage and being in touch with folks from all walks of life, all over the world. Keep up the good work! I’m looking forward to perusing all of my back issues- the info. is as relevant to me today, as the day they first arrived. If I was allowed only one horse publication, it would be Eclectic Horseman. Nothing else comes close. I keep all my back issues (#15 to present) in folders on my book shelf and refer back to old issues frequently. Together they make as fine a guide to horsemanship as you are likely to find anywhere.